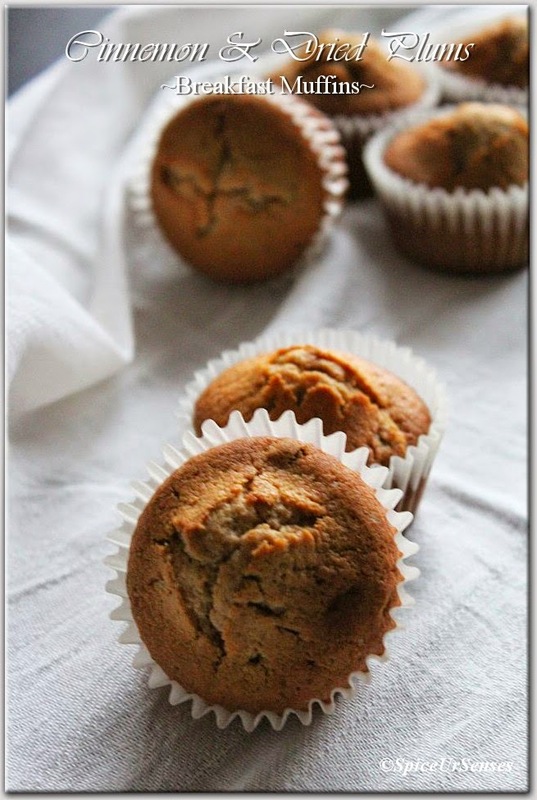 Cinnamon & Dried Plums Breakfast Muffins. 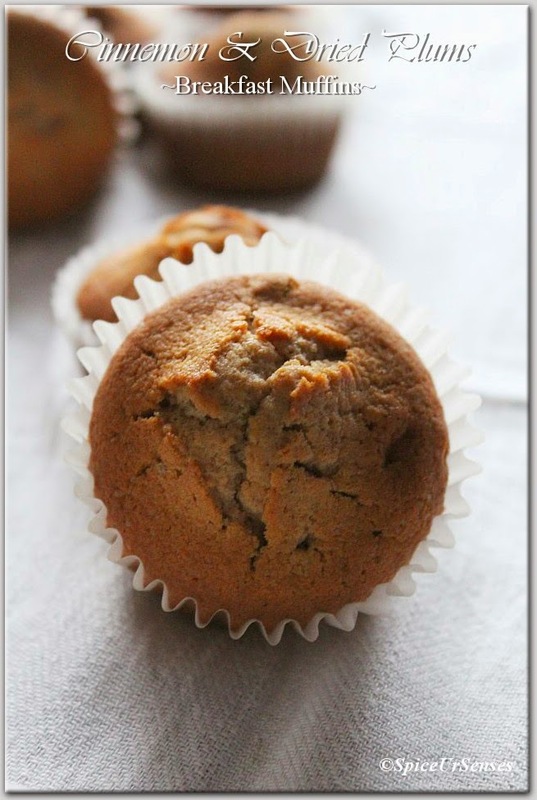 Cinnamon & Dried Plums Breakfast Muffins. 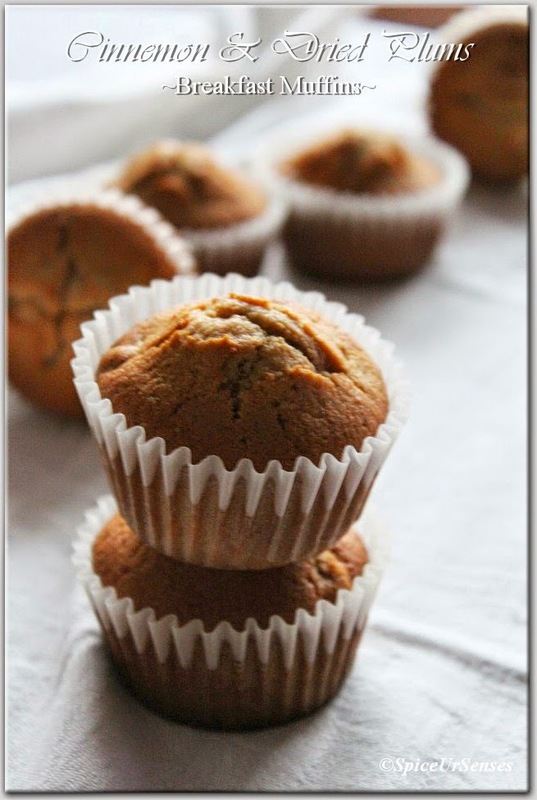 This is best muffins to have for breakfast with a glass milk to start a day with lots of energy, since it has all the goodness of dried plums, butter, milk etc. I'm a huge fan of muffins and I really enjoy baking them more then a cake and I bake them quite often with different ingredients. This is a full proof recipe which I follow every time and I always get a best result. Do bake and enjoy..
1 cup mix dried plums. Preheat your oven to 350 degrees. Line muffins tin with liners and set aside. In a small bowl, mix together the flour and baking powder and cinnamon powder. set aside. In a another mixing bowl, cream together the sugar and butter. Add the eggs, vanilla and cream together until you get a smooth mixture. Add the dry ingredients and dried plums, mix together and slowly add the milk and just mix everything to combine. DO NOT OVERMIX! Make sure you give everything a good stir with a spatula from the bottom to incorporate any bit that wasn't mixed. Scoop the batter into your lined muffins tin, make sure it's only filled ¾ of the way up because they will rise. Bake for 20 minutes and let cool for sometime. Serve for Breakfast with your favourite drinks. 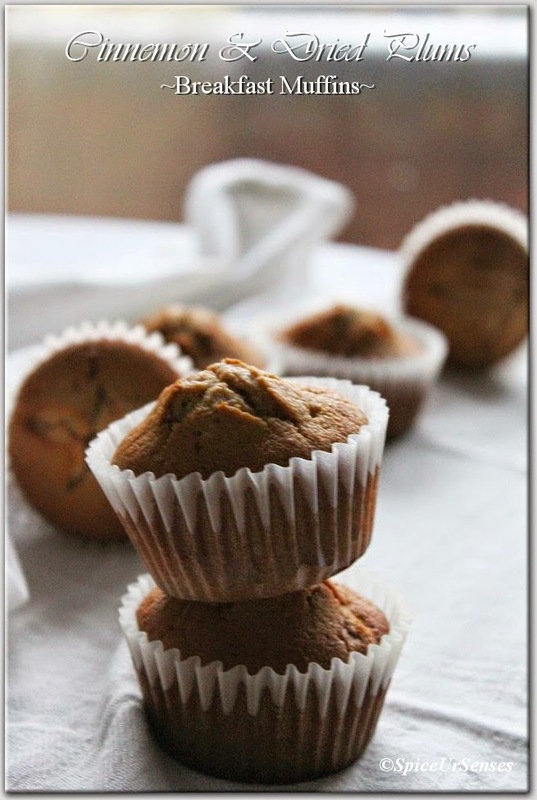 best filling and healthy breakfast..
Yummy way to start the day, delicious muffins.. 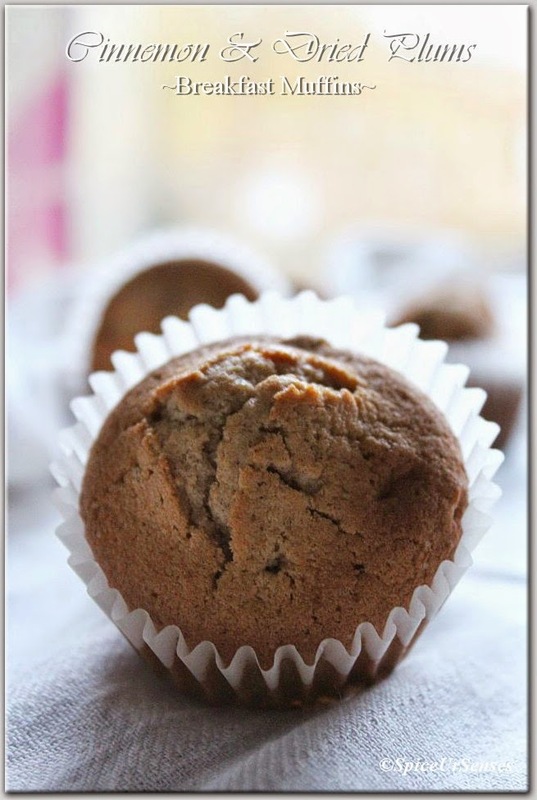 Interesting and delicious breakfast muffins..lovely pics there! 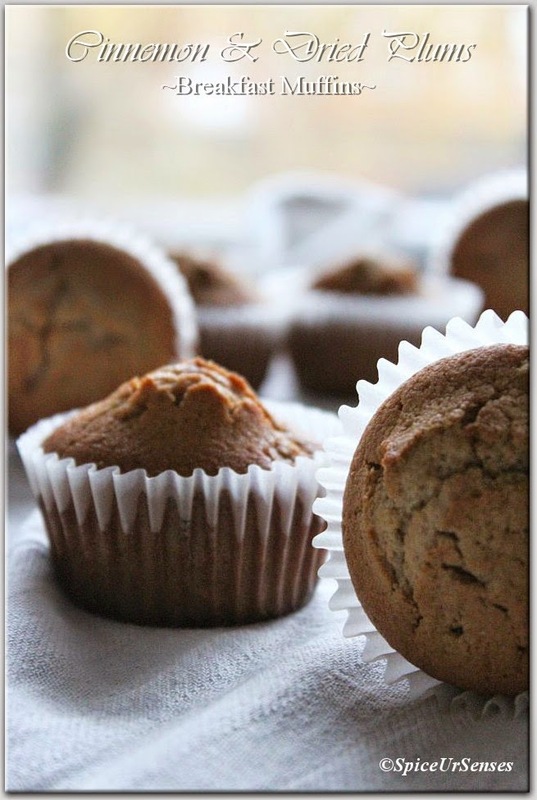 The Muffins are just perfect in terms of shape and color combination both. Looks delicious as well. Will try to bake but don't know whether I will be successful or not. Let me prepare it and will share the feedback with u of course. Keep posting with lots more. Thank u so much.